Thank you for making this home a great one! Well deserved promotions! Join us for Drunken Battle Friday this St. Patricks Day weekend! Never too early to start drinking the green beer. THE DIVISION 2 @ 9:00PM EST - This week Vanguard will be hosting the first post launch DBF for The Division 2, so gear up and get ready to take on DC this Friday! Stop by link below to join the conversation and to enter the Vanguard raffle. 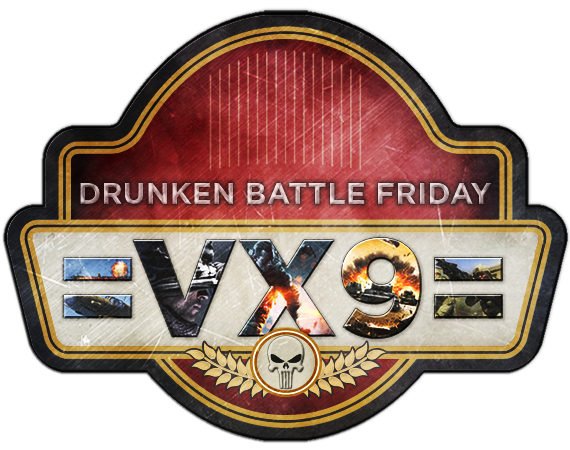 Join us for Drunken Battle Friday and stay warm with beverages, your rig and possibly your monitor(s)! SPACE ENGINEERS @ 9:00PM EST - This week India will be playing Space Engineers, an event will commence if enough suit up! Follow the link below as well as to enter the India raffle. R6S @ 9:00PM EST - This week Vanguard will be playing Rainbox 6: Siege! Stop by link below to join the conversation and to enter the Vanguard raffle. SPACE ENGINEERS @ 9:00PM EST - This week India will be playing Space Engineers, check out the new update! Follow the link below as well as to enter the India raffle. FLARE GUN FUN RUN @ 9:00PM EST - This week Shadow Company will be chasing down flare, stop by the link below to follow the conversation and to enter their raffle. DIVISION 2 OPEN BETA @ 9:00PM EST - This week Vanguard will be playing The Division 2 Open Beta! Make the =VX9= presence known in DC this Friday! Stop by link below to join the conversation and to enter the Vanguard raffle.